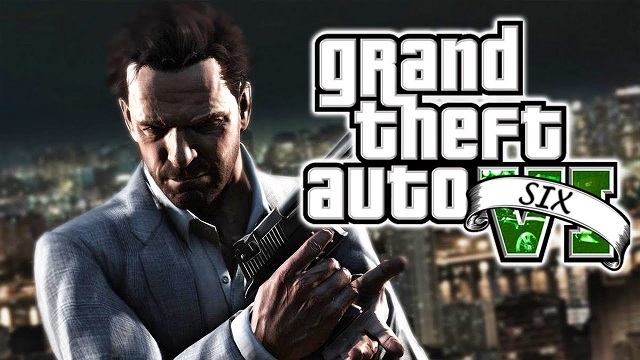 Rockstar has many popular gaming series but Grand Theft Auto one of the best game in their bucket. Now everyone is waiting for it's another part which will be GTA 6. Rumors are flying around that it will be launch in 2022 and also it will be launch on PS5. But we i some different way of thinking as a gamer. I think GTA 6 will come around 2021 to early 2022 and I have some good reason for it. let's see if I can convince you with some of my analytic skills. It's been almost 5 years since GTA 5 release we are already enjoying it especially GTA online. They are constantly giving us new updates that mean they are not likely to launch GTA 6 soon. Another reason is Red Dead Redemption 2 they are launching it in October 2018 month and it is also their most famous gaming series. Console gamers prefer this game over GTA series so Rockstar would not spoil RDE2 sells by clashing it by releasing GTA 6 within 1 or 2 years after it. So they will give it minimum 3 years window to gain as much as profit they can get with Red Dead Redemption 2. So we can clearly see if they are taking 3 more years for Red Dead Redemption 2 it means GTA 6 won't come until 2021 ending or early 2022. Yes, we might see GTA 6 Teaser in 2019 ending and trailer in 2020 that's for sure. There are some rumors that GTA 6 will launch on PS5. But when one question raise GTA 6 development already started how can they are developing it on PS5. When PS5 still on rumors then they say PlayStation sent their PS5 dev kit to Rockstar developer. But I don't think it will happen because at GTA 5 time the game launched on September 2013 and PS4 launched after 2 months in November 2013. So at that time also PlayStation provided them dev kit. But game launched in PS3 first and then PS4 after a year. So it means GTA 6 will also hit PS4 first and PS5 after some time. Because even if PS5 launch in 2020 there will be more gamers on PS4 compared to PS5. So for-profit rockstar will choose PS4 first then PS5 and then PC. Right now we can't tell specifically hardware but as we all saw GTA 5 minimum PC specification and people playing the game even on low-end PC. So just for a rough idea, the minimum pc requirement will be. It's just a rough idea, not an official specification. So that's it for this article we will update you with latest rockstar updates.